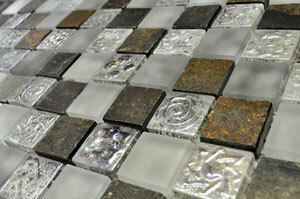 The incredibly chic Glass Mosaica Banda Mocha tile will add class and flair to your home. It is a striking mosaic tile with a glorious design consisting of rectangular strips of marble and glass and comes in a mocha hue. It looks incredibly modern and stylish and it will certainly add a contemporary touch to your home. 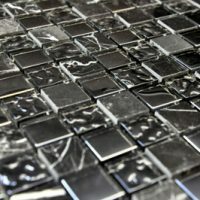 The Glass Mosaica Banda Mocha mosaic tile is available in a standard size of 300x300mm and is sold per piece. 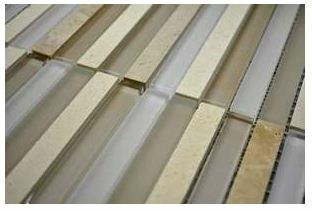 It is suitable for use as a wall tile in indoor applications, particularly in feature walls and for creating vertical borders. This mosaic tile offers a great blend of practicality and style. Apart from its good looks, it has also been manufactured to the best standards of quality. It requires little to no maintenance and it will look good as new even many years after installation. Thanks to special manufacturing, Glass Mosaica Banda Mocha can be installed with minimum grouting to offer a neat and seamless finish. It offers tremendous value for money and is a fantastic choice for your home. For chic mosaic tiles in Perth, look no further than the Glass Mosaica Banda Mocha mosaic tile. 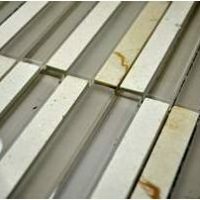 Buy this tile at the lowest price today from our online store!